move past barriers and toward success. PROGRAMS - We look to "fill in the gaps" and provide programming that truly meets the needs of individuals, families and the community. PARTNERSHIPS - We realize that we do not have to "reinvent the wheel." We look for organizations that need the help that we can provide and believe what we believe. We look forward to working with organizations that want to make a difference! POSTCARDS - We believe in the "power of encouragement" and offer encouragement through our postcards to people all across the country. We always offer postcards to those who want to "join the army of encouragers" and will send encouragement to those in their sphere of influence. encouraging environment for its employees with interactive workshops. Encouragement Unlimited, Inc. is once again partnering with the Men's Wearhouse and providing suits for men through the "Dress to Impress" suit giveaway. For the past 12 years, our organization has helped men looking for a new job or a better job look their best. We are excited to provide these suits again this year and encourage everyone who can to take advantage of this great opportunity. The suit giveaway will be held at the First Baptist Church (1340 K Street), from 9am - 3pm. 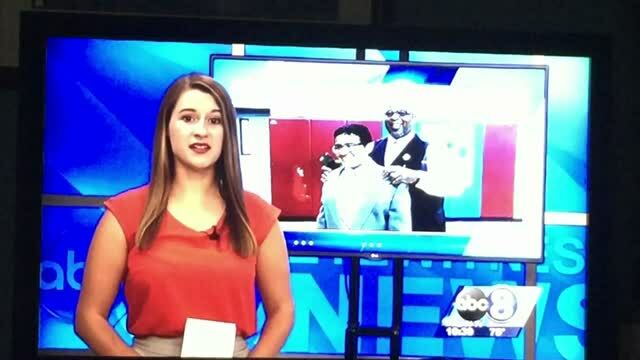 Call John Harris (402) 309-9411 if you have a financial or clothing donation. Encouragement founder John Leonard Harris (see below) speaks at the state capitol in support of the ending the "liquid genocide" in Whiteclay, Nebraska. Nebraska Supreme Court rules against liquor stores and for the people of the Pine Ridge Reservation. The four liquor stores are now closed! 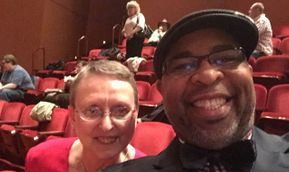 Encouragement Unlimited has lost a great partner in encouragement with the death of our friend Twyla Hill to pancreatic cancer. We will be looking to raise funds to offer a $500 scholarship in the name of Twyla Hill to a nursing school in the area. 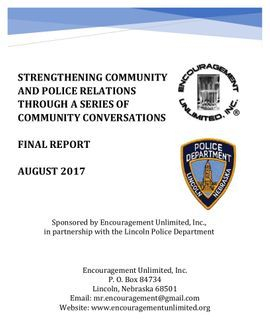 Encouragement Unlimited, Inc. will have a report forthcoming from the five community chats with the Lincoln Police Department. This report is the culmination of the work of the citizens who care about the safety of Lincoln, Nebraska. The information in the action plan represents the tangible actions that citizens, police and the community at-large can execute in real time. 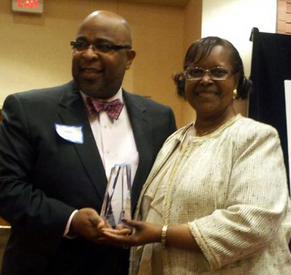 Encouragement Unlimited, Inc. president John Leonard Harris with Dr. Colleen Jones presenting him with the mentoring award given in honor of her late husband, Dr. Melvin Jones, former Vice Chancellor for Business and Finance at the University of Nebraska-Lincoln. 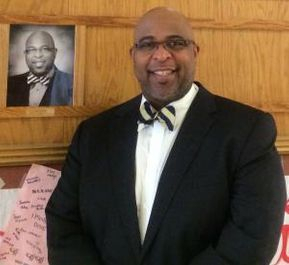 John was awarded the Dr. Martin Luther King Jr. “Wall of Honor” recognition for his contribution to promoting diversity and contributing to the betterment of the city of Lincoln. 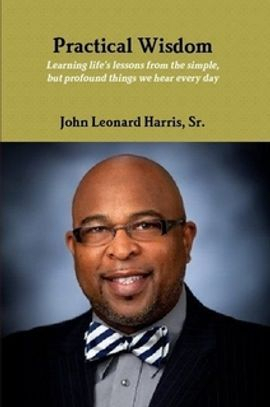 John L. Harris and the popular "Encouragement Word of the Day"
New book by John Leonard Harris offers "PRACTICAL WISDOM"
Use the link (ABOVE) to order from our website and receive the book directly from our stock (based on availability). If we do not have any, we will notify you and encourage you to get the book from www.lulu.com. Donate today to support the work of Encouragement Unlimited, Inc.
Get your "Encouraging Moments" Coupon Books and start making memories that will last a lifetime! Link (Click on this Link to go to our DONATIONS/PRODUCTS page so that you can order yours today! Only $5 for the month of February, that is 50% off the regular price. 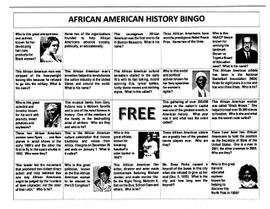 Click on the MORE tab to print your bingo sheet. 100% will get two prizes from us. Final community conversation report available now. Click on the Can We Chat? tab at the top of this homepage.